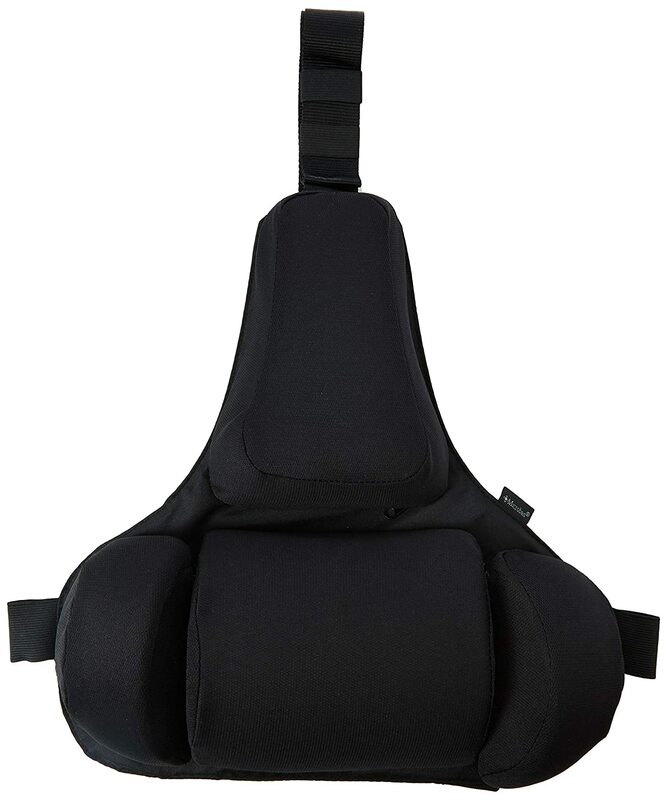 Finding the best back support pillow can play a pivotal role in creating in hours of gaming entertainment or a gaming session that you’ll regret tomorrow when your back aches with every move you make. When you settle in for a gaming session, you want to be comfortable both while you’re playing and the following day. 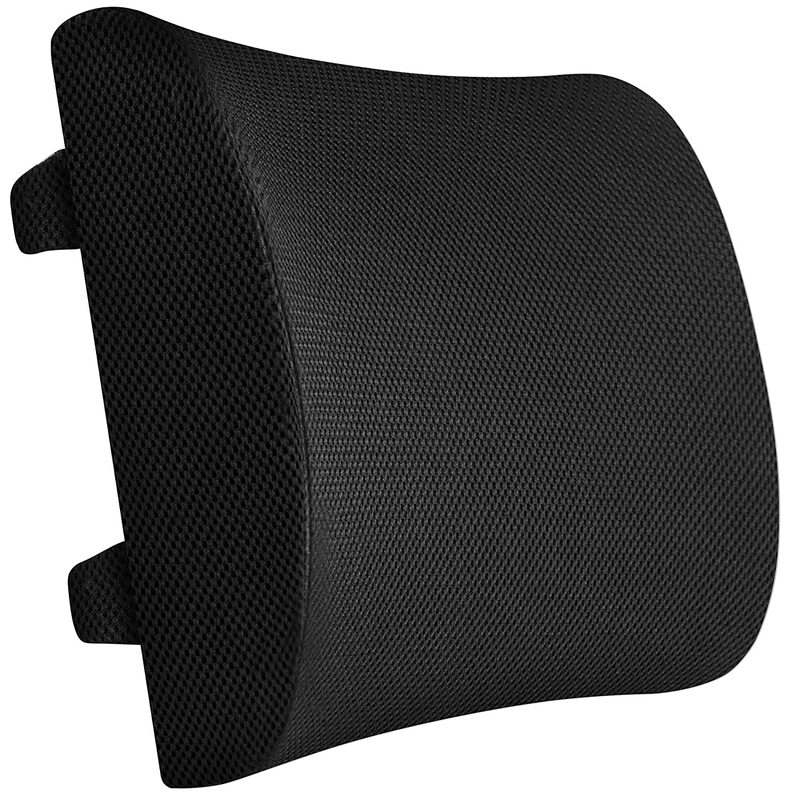 Finding a high-quality, long-lasting lumbar pillow can be the perfect addition to your gaming chair. A lumbar support pillow can do wonders for keeping your low back healthy, but if you experience persistent or worsening back pain, numbness, or weakness, please see your doctor right away. Supporting your low back is essential for your overall back health. It’s easy to get absorbed in your game and not notice that you’re in an awkward or uncomfortable position until hours have passed by. 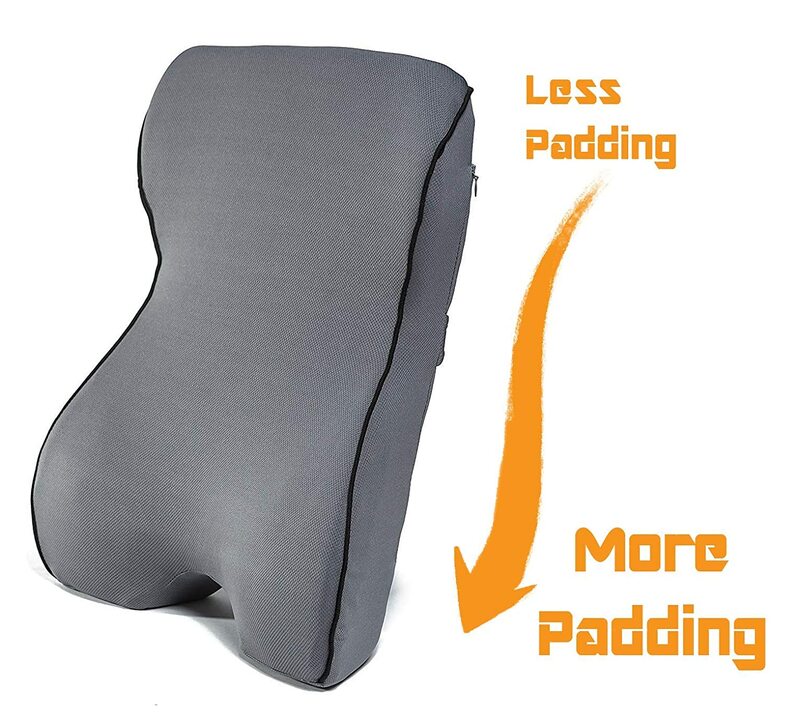 A proper, ergonomic lumbar support pillow can protect your back from lumbar strain and improve your posture so that you can game today and many days into the future. A proper back support pillow can help to adapt a chair that may otherwise not be ideal for sitting in for long periods of time. If you have a gaming chair that is specifically designed with gaming in mind, then it should already have the proper supports in place for your gaming sessions. Most arrive at your house decked out with a lumbar support pillow. However, specialized gaming chairs can be expensive, so a lumbar support pillow can be a great, cost-effective option to keep your back in good shape. If you’re using a standard office chair, you may find that a lumbar support pillow is key to keeping you comfortable over the long haul. Also, if you already have low back problems such as sciatica or a herniated disc, then it is imperative that you protect your low back during long periods of sitting. While a low back pillow can improve back pain and stiffness, it is also important to mention that you need to get up and walk around occasionally. Prolonged sitting can be detrimental to your overall health and specifically your back. Please take periodic breaks to stand up, walk around the room, and stretch to stay healthy. Ideally, you should get up and move every 20 to 30 minutes to maintain good circulation and reduce your risk of developing complications from a sedentary lifestyle. When you can sit in your gaming chair, your ears and shoulders should be directly in line with your hips. You should also feel your low back gently touching the chair while keeping the natural, “S” curvature of your lumber spine. This alignment shows that your chair provides you with good support for your back and promotes a good posture position. If your chair doesn’t do this, then you should seriously consider investing in a lumbar support pillow to reduce your risk of developing significant back issues. An improper chair can affect your posture. Improper posture can in turn can put undue pressure on your abdominal organs, prevent you from taking deep breaths, and lead to neck pain and strain. The ideal back support pillow should have memory foam so that it can conform to your back and offer you optimal support. Memory foam helps to support the natural curve of your spine to bolster your back as you work or play and minimize potential problems. The Xtreme Comforts memory foam back support pillow has been specially designed with proper back posture and alignment in mind. It focuses on decreasing pressure points, improving blood flow, and relieving muscles aches and pains with its durable, active memory foam. This pillow conforms to your spine to support you. 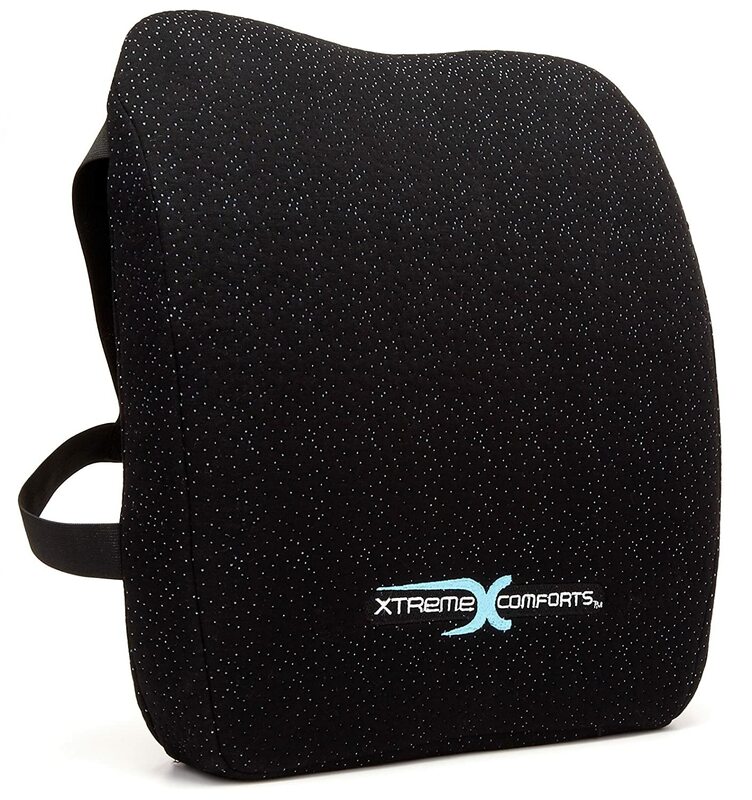 The Xtreme Comforts pillow is hypoallergenic because it is 100 percent bamboo. The material is breathable for daily use and comfort without making you sweat. If you do work up a sweat in your gaming session, the cover is easy to remove and can be put in your washing machine when needed. There are four adjustable straps to secure the cushion to exactly where you want it to go and to keep it there. Bulwark has designed a Castle line of back pillows to support your gaming throne and improve your comfort during long stretches of game time. While coming with a slighter higher price tag than some of our other options, this pillow provides royal support and comfort that is worth the investment. The design of the Knight cushion has your back’s comfort in mind. The padding is more luxurious at the base to support your low back and tapered as it goes up to be ergonomically correct and respond to your back’s shape and contour. 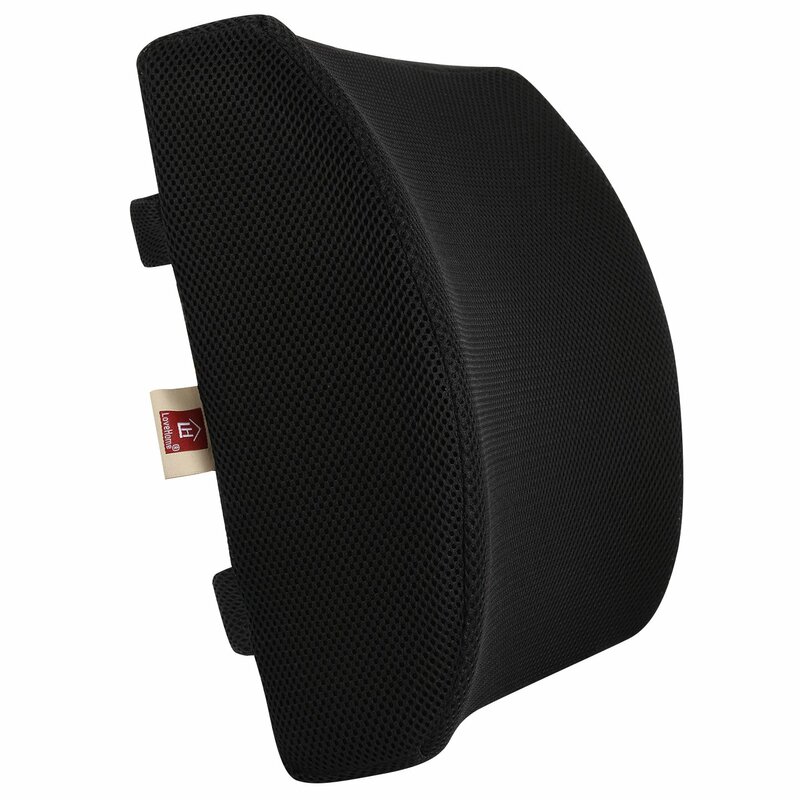 The cushion is made of medium density, 70D memory foam that passed an 80,000 compression test. It’s composed of a breathable mesh inner shell and enclosed by a removable, machine-washable polyester outer cover. The adjustable strap keeps your pillow firmly in place. It even comes for its own bag for easy transport. The LoveHome memory foam lumber pillow is recommended by chiropractors to keep your spine in line when sitting for long periods of time. This firm yet comfortable cushion will encourage you to maintain proper posture and good spinal alignment while at your game station. Made of premium memory foam, the LoveHome pillow maintains its firmness and conforms to your needs for hours of low back relief. The LoveHome cushion is built for the long haul with a breathable, mesh cover that is also removable and washable. It comes with two adjustable straps to secure it to your chair quickly and firmly. Additionally, it’s one of the few lumbar pillows on the market that comes in a wide variety of colors to let you customize your comfort. The Vremi Premium lumbar support pillow uses premium memory foam to give you a comfortable experience even when you’re sitting for an extended period of time. From improved blood flow to reduced risk of developing sciatica pain, the Vremi pillow hugs your back while helping you to maintain proper posture for your spine. This pillow is hypoallergenic and has a removable, mesh outer cover to provide comfort and ventilation while you’re hard at work. However, you will want to hand wash the cover, if needed, to protect its structure and shape. The dual straps will keep your pillow right where you need it for maximum comfort. 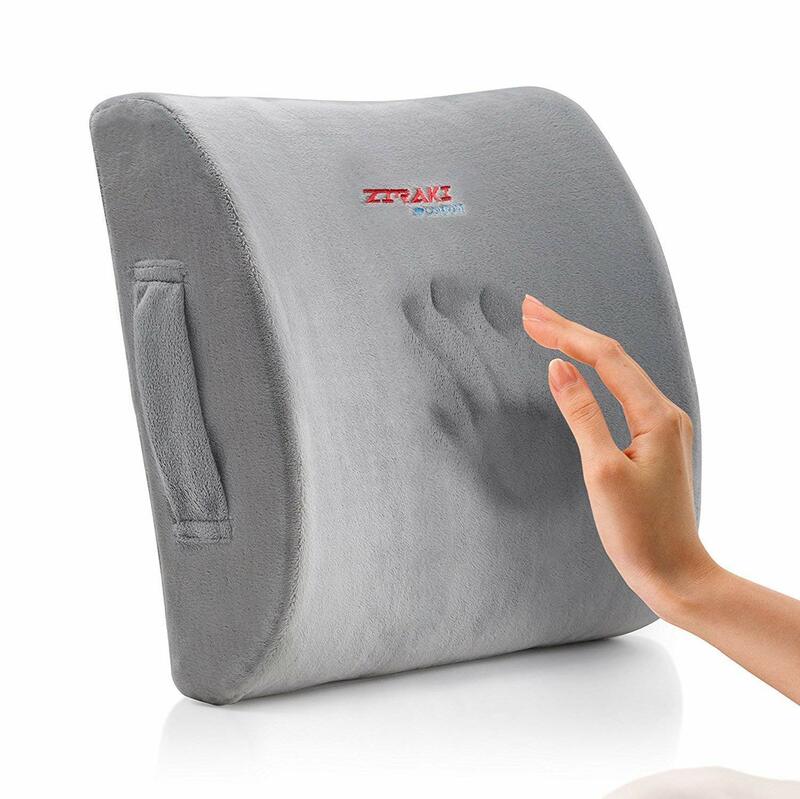 The Ziraki memory foam lumbar cushion is a fantastic, budget-friendly option for increased lumbar support. The memory foam will hug your back while simultaneously setting you up for good posture and lumbar alignment. This pillow offers firm comfort that molds to you with sturdy support. Ziraki has created a lumbar pillow that stays where you put it with secure straps to fasten it down. It’s also ready to travel with its own protective bag and mesh handle. It comes in a demure shade of gray that hides dirt well. The 100% Pure Memory Foam Back cushion from Everlasting Comfort lives up to its name. Made completely of premium memory foam, it’s designed to improve your comfort and alleviate a wide variety of common back complaints. While it’s great for low back comfort, this pillow can also be adjusted on your chair to offer additional neck, upper back, or mid back support as well. Everlasting Comfort wants to make sure that even allergy sufferers are comfortable with this hypoallergenic cushion. If you happen to notice a slight odor with prolonged use, you can easily freshen up the cushion by placing it in your dryer on low heat with a fabric softener sheet. The dual straps keeps it exactly where you need the support. Relax Support lets you relax comfortable during a long gaming session with this uniquely designed, patented lumbar support pillow. While it can be adjusted for mid back use, the sides of the pillow are specifically sloped into a lateral, convex shape for low back comfort and support. 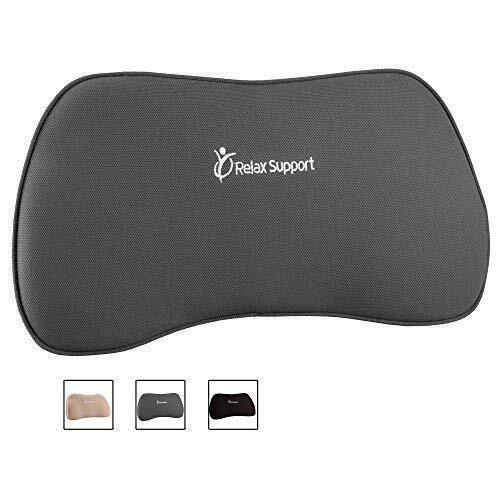 The Relax Support pillow will improve your posture and offer low back relief all day long. This pillow has two straps to help maintain its position securely where you need it. The straps can also be removed for travel or if they get in the way. It’s made of high-quality, premium memory foam and a breathable fabric for additional comfort, and the cover is machine washable. It’s available in gray, black, and beige. Additionally, it is lower than most other lumbar pillows making it ideal for those who are vertically challenged. The Fellowes Professional back pillow has an innovative design to support your lumbar and thoracic spine in comfort and style. The lower portion of the pillow has three distinct sections to cushion and support your lumbar spine throughout the day. There is also an upper section that encourages good posture and a neutral spine position for your mid back. 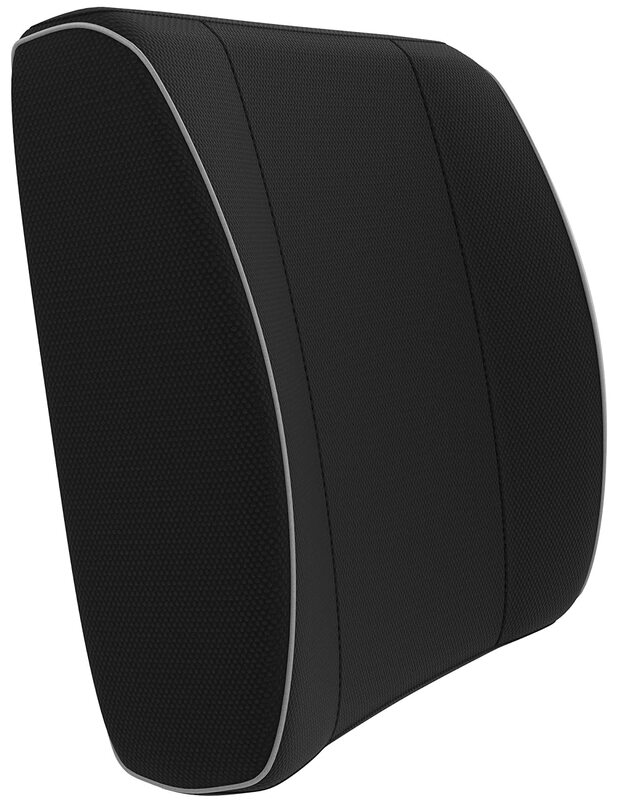 The memory foam core adjusts to your individual shape and needs. This pillow by Fellowes will warm and support your back with its memory foam cushions. The cutting edge Tri-Tachment system keeps the pillow from slipping while you’re gaming and holds it securely where you need it. 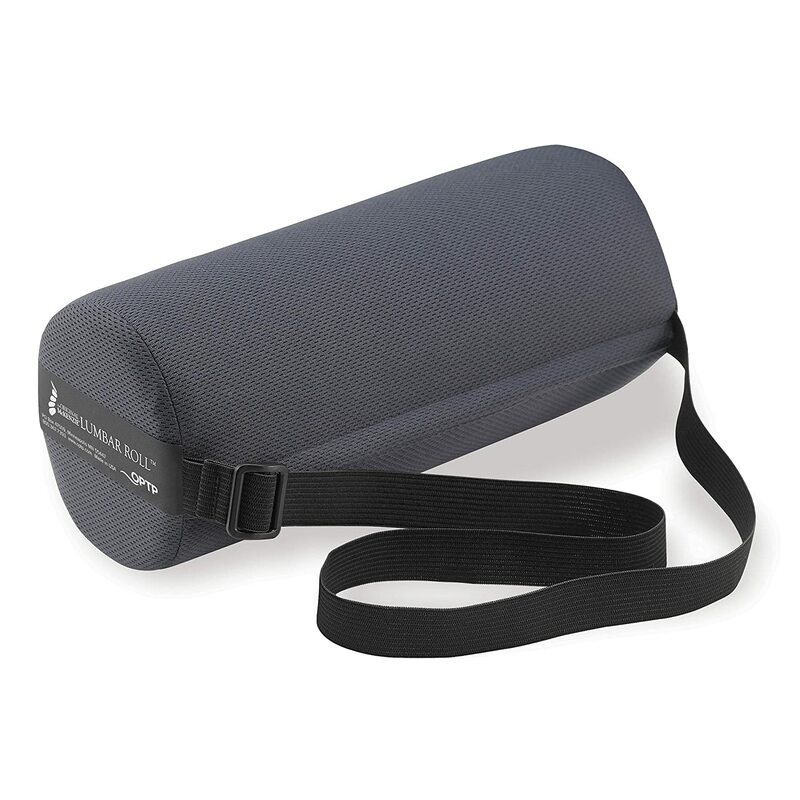 OPTP presents a unique option with the McKenzie Lumbar Roll. Available in both standard and firm densities, this cushion comes strongly recommended by physical therapists, chiropractors, and back experts. 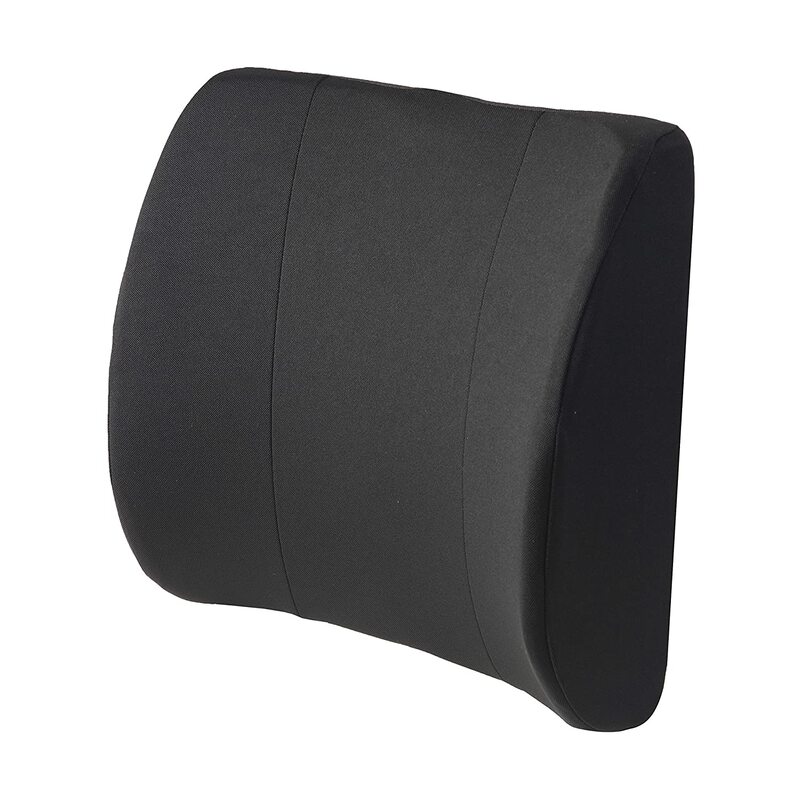 The cylindrical shape encourages you to have a gentle, proper curve in your lower back. While some users noticed that it felt awkward initially, this cushion trains you to have better posture, which in turn reduces the risk of back pain and strain. Formed from high-quality, durable memory foam, the McKenzie is built for long-term use. The cover is 100 percent polyester that is wrinkle-resistant and wicks moisture away from your back. It can also be removed for cleaning. Straps will secure it to your chair in case you jump up during a particularly challenging part of your game. The DMI Relax-a-Bac lumbar pillow has an innovative feature for additional support. There is a removable, wooden lumbar support board that you can place inside of the cover for extra firmness and low back coverage. The contour of the pillow is ergonomically designed to promote good posture and spinal alignment. This particular pillow is made of highly resilient foam that maintains its shape with repeated use. This provides you with evenly applied support all day and every day. An elastic band holds your pillow in its place so that it won’t wiggle even if you do. The cover is easy to take off and wash if needed, and it comes in black, burgundy, gray, and navy. With a wide variety of excellent lumbar cushions available, the best back support pillow is just waiting for you. Whether you’re short or tall, looking for lumbar alone or lumbar and thoracic support, or just want something that’s easy to wash, these 10 low back cushions will deliver just what you need. Low back pain and injuries can have long-term consequences. Buying a back support pillow can improve your posture, increase your comfort during long gaming sessions, and greatly reduce your risk of developing back pain and problems. A lumbar cushion can keep you comfortable and improve your back health for years to come.